Crisco Cookie Mix Recipe: RETRO VINTAGE CHRISTMAS! HO HO HO! Gather the family 'round for some Christmas cookie fun with Crisco's Cookie Mix recipe from 1952. Using this simple recipe, you can make a variety of sweet festive treats that are sure to be Santa approved. 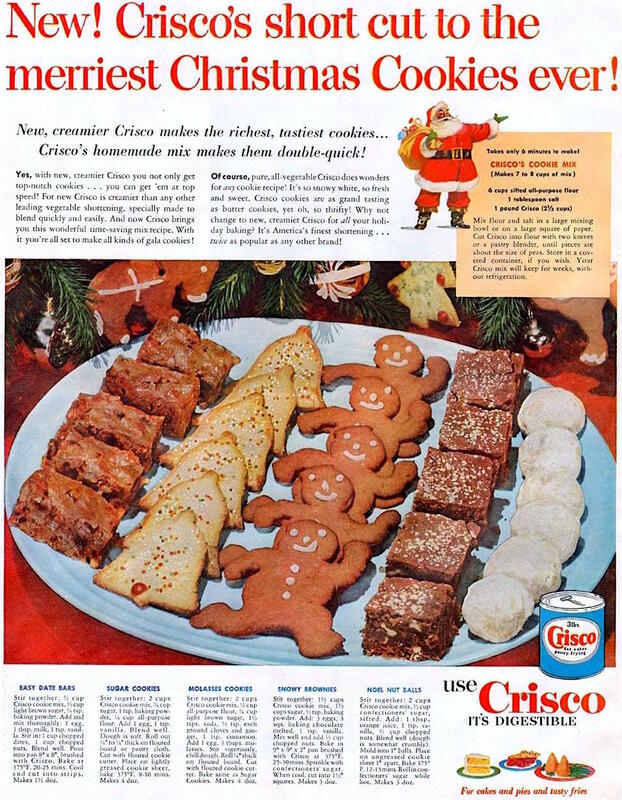 Get into the holiday spirit with Crisco!